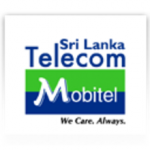 TEAM Sri Lanka’s National Mobile Service Provider, Mobilel strives to provide innovative telecom solutions to the nation whist transforming the local telecommunications sector to be on par with global standards. As a part of OUT workplace culture. we strive to maintain a dynamic and rewarding environment where our young and energetic workforce is provided with equal opportunities, training and guidance to reach greater heights. This is your opportunity to be a part of this stellar workforce. Respond to customer queries through non voice channels such as Letters, E mail, SMS and Web Chat, whilst ensuring quality in line with the defined standards. Be able to resolve customer complaints and requests escalated through other Service Delivery Channels. Enhance customer relations and maintain a high standard of service during customer interactions. Proactively escalate issues and liaise with other divisions in providing solutions to customers. Escalate customer feedback and suggestions with the relevant stakeholders on a timely manner. Candidate should hold a Degree / Diploma in General Management. 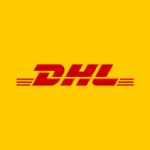 Minimum of 1-2 years’ experience in Customer Care or Similar field. Possess excellent verbal and written communication skills in English and Sinhala or Tamil language. Be service oriented, organized and attuned to problem solving. interact with staff at all levels. Be highly organized, proactive and energetic with a positive attitude.